Everyday social media giants like Facebook, Twitter, LinkedIn, and now Pinterest, are moving into the world of paid advertising, some with more success than others. It’s hard to monetize these websites because they’re social in nature. With no clear ROI, some businesses are still hesitant to spend marketing dollars on them. There’s one site planning to launch ads that may change all of that. Pinterest may be able to monetize it’s service in a way that no other social media website has been able to accomplish yet. In case you don’t know, Pinterest is basically an online bulletin board or organized scrapbook. Pinterest allows you to “Pin” anything you find interesting onto your profile and access it later. Users can follow their friends and “Re-Pin” items they find interesting. Also, they can search for inspiration and view a live feed of items of interest that are being “Pinned” by strangers. The website now has roughly 70 million users who pass along content for a long period of time. Unlike Facebook, or Twitter where content often gets buried in the Newsfeed, Pinterest plans on incorporating advertising into its service by letting businesses pay for “Promoted-Pins”. These “Promoted-Pins” will look identical and appear in the same search results just like the standard “Pins”. This is all good news for businesses because Pinterest is always recognized as the go-to place for businesses with e-commerce websites. If Pinterest was powerful for business organically, imagine the power now with advertising dollars! People use Pinterest to find products to buy, things to do, and places to visit. In fact, 20% of all social referrals to commerce sites already come from Pinterest. Since Pinterest has this niche in social media, they may be in a position to incorporate ads that users welcome and are not only interested in, but share with friends. The site started testing its monetization strategy in 2013, with some bigger brands such as Kraft Foods. The early testing results looked promising. It showed on average “Promoted Pins” get “Re-Pinned” 11 times. On top of those results, 81% of online consumers have already said they trust the information and advice on Pinterest. It’s an exciting opportunity for Pinterest and marketers alike. Ad spend can directly correlate with sales, giving businesses a new way to calculate an ROI from social media. The site’s ultimate goal is to introduce users to new things they’d be interested in buying. 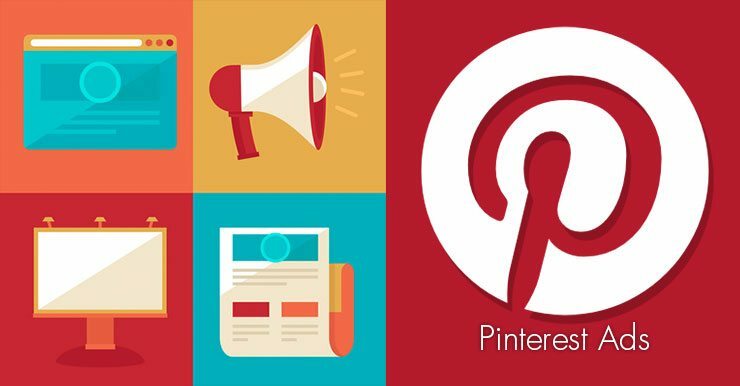 Brands can take advantage of advertising on Pinterest a few different ways. Let’s say you own a company that manufactures baby products. You may pay for a “Promoted-Pin” expecting parents type “Baby shower” into the search bar. The site will serve “Pins” of your baby products. If they’re interested in anything, they can “Pin” it to their wall. From there, their family and friends can buy it for a baby shower present. Or if you’re browsing Pinterest for DIY project ideas, you may see a “Promoted-Pin” from Bed Bath and Beyond for an item you need to complete the project. Another situation may be if you’re in a grocery store looking at a recipe, users might see a “Promoted-Pin” from a BBQ sauce to finish the dish. This is where Pinterest differs from Facebook and Twitter. The Ads aren’t butting into conversations between friends. The Ads can be so seamlessly integrated into the service that users may not even realize that they’re viewing paid advertising. What do you think about Pinterest Ads? Will your social media team incorporate them into your online marketing efforts?